KGHM Metraco S.A. is a sole distributor of rock salt produced by the „Polkowice-Sieroszowice” Mine. Rock-salt has been extracted by „Polkowice –Sieroszowice” Mine, a Division of KGHM Polska Miedź S.A since 1991. Deposits are localized in the Lower Silesia Region and underlay over the copper ore deposits. 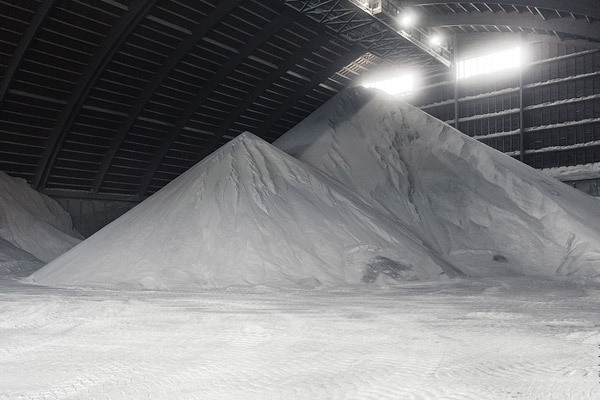 the biggest salt warehouse in Poland, having the storage capacity of 70 thousand tons. Transport of products by road and by rail. KGHM Metraco S.A.’s salt is characterized by high content of NaCI (96%-99%) and microelements. Owing to its properties, it is used for winter road maintenance and in chemical, food and heat generation sector. 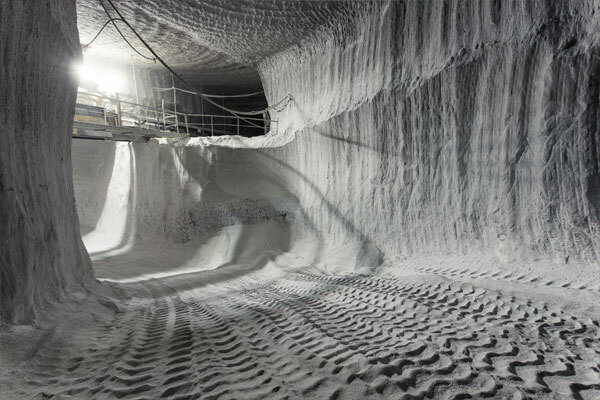 Rock salt mining process in KGHM Polska Miedź – „Polkowice –Sieroszowice” Mine applies the only in Poland technology of drilling workings using salt harvesters. 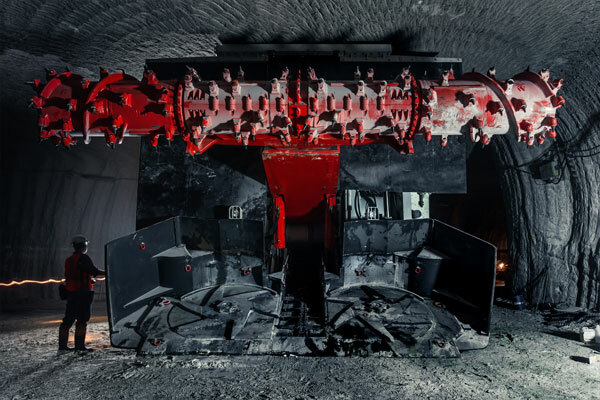 The most modern harvester MB-70070 mines approximately 2.5 thousand tons of salt per day. Extracted salt is delivered to underground salt processing plant, where it is milled and sifted in order to ensure proper granulation. 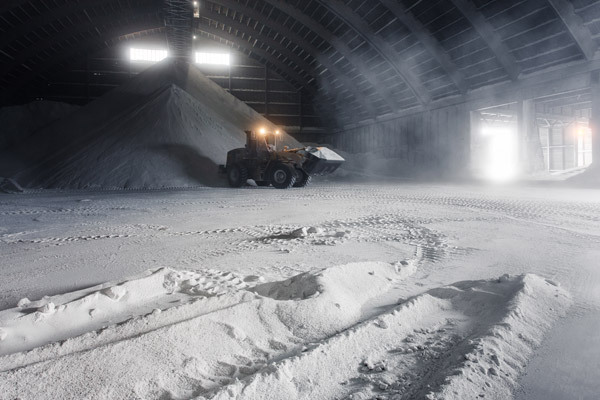 Salt as a product intended for winter maintenance of roads and sidewalks is supplied to the domestic and foreign markets, i.a. to the Czech Republic, Germany, Slovakia and Austria. Polish buyers of salt include the General Directorate of National Roads and Motorways, administrators of regional and district roads, municipalities, municipal companies and firms engaged in road maintenance. KGHM Metraco owns the biggest salt warehouse having the storage capacity of 70 thousand tons. From here salt is delivered to clients by trucks and railway carriages. This makes order fulfilment process short while salt is delivered to Clients always on time, regardless of quantity and place of delivery.